Matthew tells us that during Jesus’ Galilean Ministry, “great crowds followed him from Galilee and the Decapolis, and from Jerusalem and Judea, and from beyond the Jordan (4:25, ESV). I had the opportunity today to visit Hippos, one of the ten cities of the Decapolis. Hippos, one of the cities of the Decapolis. Photo by Leon Mauldin. In the foreground you can see the ancient ruins of a temple. If you look carefully to the left center you can get a glimpse of the Sea of Galilee. 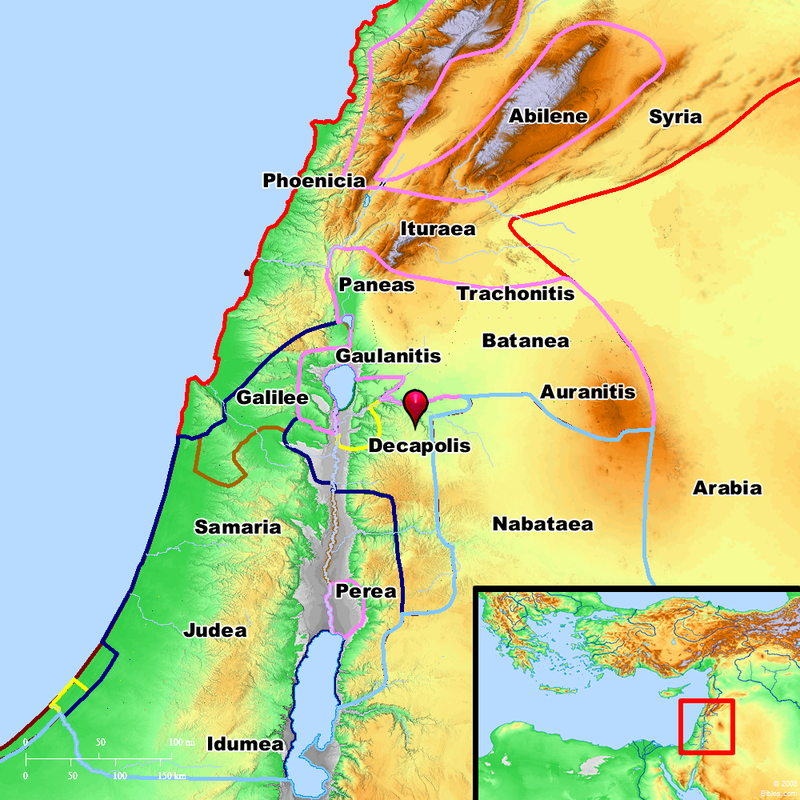 Though Jesus would later go to the Decapolis (Mark 5, Mark 7), the text in Matthew is saying that people from all the areas listed, including the Decapolis, traveled to Galilee to see and hear Jesus when He was engaged in the Galilean Ministry. Scythopolis (Beth-Shean) in Israel, the only city west of the Jordan River. Hippos (or Sussita) in Israel (Golan Heights). 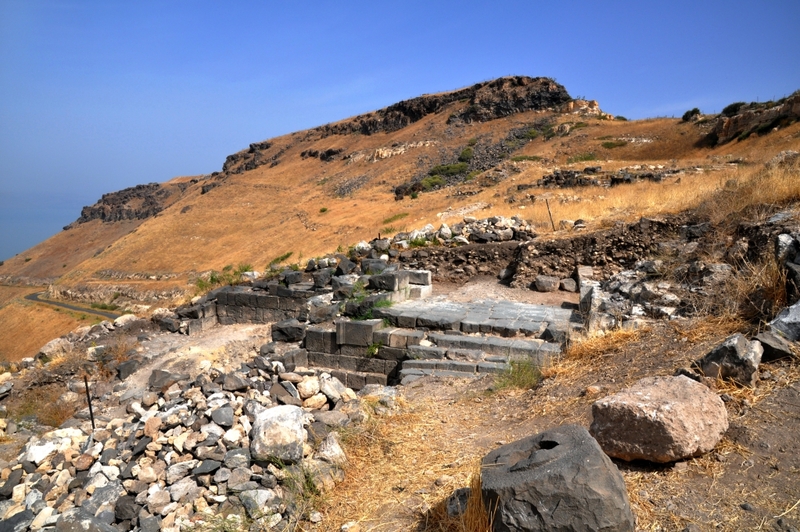 Gadara (Umm Qais) in Jordan. Pella (West of Irbid) in Jordan. Philadelphia, modern-day Amman, the capital of Jordan. Capitolias, also Dion, today Beit Ras in Jordan. Damascus, the capital of modern Syria. The Decapolis. Ten cities given autonomy by Rome. BibleAtlas.org. This entry was posted on Monday, May 1st, 2017 at 2:10 PM and is filed under Bible History and Geography, Bible Places, Decapolis, Israel, New Testament, photography, Travel, Uncategorized. You can follow any responses to this entry through the RSS 2.0 feed. You can leave a response, or trackback from your own site. Hippos / Susita is uniquely located on the Sea of Galilee. When Jesus talked about a “city built on a hill” (Matt 5.14), I think Hippos would have been a prime example. I imagine the buildings and fires of that city would have been visible from anywhere around the Sea.